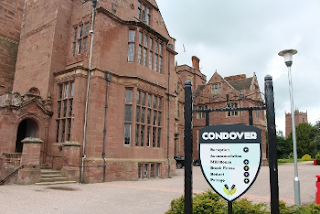 All is going well at Condover Hall, the children have completed Cluedo this evening and are now back at base and are getting ready for bed. Their behaviour has been exemplary - a credit to the school and you all! They are having a fabulous time and enjoying every minute as are the staff! This will be the final update tonight. Breakfast is at 7.50am and we will update you in the morning.